Join us July 23rd-25th, 2019 at the Union Station, St. Louis, MO. If you have an interest in precision agriculture, you should attend. The educational programs are perfect for learning new perspectives about how to put technology to work in the field and hearing more about new products and services as well as the unique perspective on the global research efforts in testing and creating new technologies. Last year InfoAg had over 1200 attendees. Just over half of our attendees are crop consultants or involved with ag retail. About 10% of our audience are farmers. We also have many agribusiness people, university researchers, scientists, and government workers. InfoAg is the premier conference on the practical application of precision agriculture. 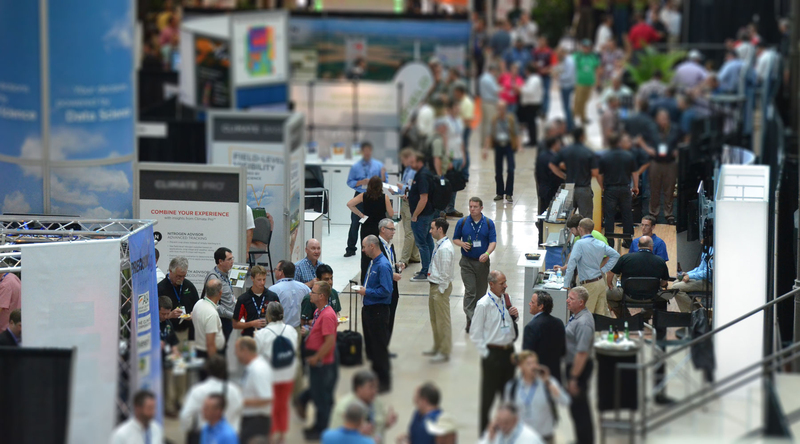 It features an educational program that includes plenary, breakout, and workshop sessions along with an extensive exhibit hall of leading hardware, software, and services vendors to precision agriculture. Presentations from InfoAg 2018 are now available online in pdf format. You can access the files via the presenter list: an alphabetic list of speakers with links to their files. You can access the pdfs via the at-a-glance program matrix. Please click the Show Full Presentation Titles button to expand the listing from the default, timed format. Sign up below to receive regular updates from InfoAg.org. InfoAg will be held at Union Station in St. Louis.